Background: Information on long‐term prognosis in autism is limited. Outcome is known to be poor for those with an IQ below 50, but there have been few systematic studies of individuals with an IQ above this. Method: Sixty‐eight individuals meeting criteria for autism and with a performance IQ of 50 or above in childhood were followed up as adults. Their mean age when first seen was 7 years (range 3–15 years); at follow‐up the average age was 29 years (range 21–48 years). Outcome measures included standardised cognitive, language and attainment tests. Information on social, communication and behavioural problems was obtained from the Autism Diagnostic Interview (ADI). Results: Although a minority of adults had achieved relatively high levels of independence, most remained very dependent on their families or other support services. Few lived alone, had close friends, or permanent employment. Communication generally was impaired, and reading and spelling abilities were poor. Stereotyped behaviours or interests frequently persisted into adulthood. Ten individuals had developed epilepsy. Overall, only 12% were rated as having a ‘Very Good’ outcome; 10% were rated as ‘Good’ and 19% as ‘Fair’. The majority was rated as having a ‘Poor’ (46%) or ‘Very Poor’ (12%) outcome. Individuals with a childhood performance IQ of at least 70 had a significantly better outcome than those with an IQ below this. However, within the normal IQ range outcome was very variable and, on an individual level, neither verbal nor performance IQ proved to be consistent prognostic indicators. Conclusions: Although outcome for adults with autism has improved over recent years, many remain highly dependent on others for support. 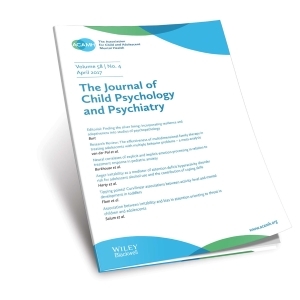 This study provides some information on prognostic indicators, but more fine‐grained research is needed into the childhood variables that are associated with good or poor outcome.